First impressions: A good first impression starts with your storefront. Clean windows increase visibility inside your retail store, which is important because people driving or walking by only have several seconds to view your storefront. Floors: Proper floor cleaning and maintenance is important for retail stores because clean floors make the store more presentable and safer. It is important to protect your floors as much as possible with an entrance mat. Entrance mats will help protect your floors by reducing the amount of dirt and moisture that is tracked in your store. Clean floors are also very important for safety reasons. Everything from water and dirt to objects and clutter can pose a potential slip and fall hazard. Restrooms: Retail store restrooms require constant attention. If your store has dirty restrooms, it is a direct reflection on your business. Making sure your store’s restrooms are clean and sanitary can only be a positive reflection on your store. 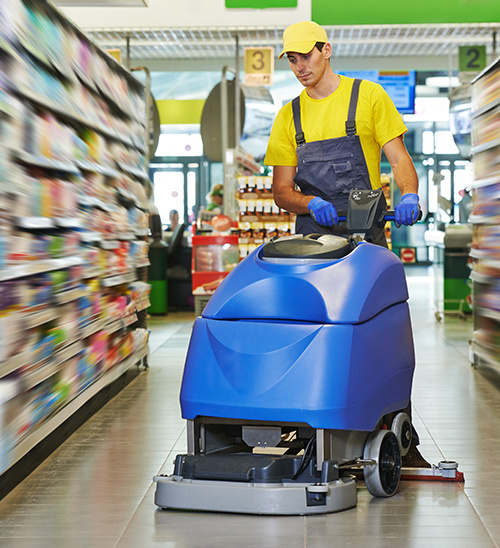 When it comes to high standards for your retail store, you and your guests can rely on Metro Clean to keep your store immaculate, thereby enhancing your guests’ shopping experience. Shining floors, clean carpets, spotless restrooms, and well-kept fitting rooms all ensure that your shoppers have a pleasant shopping experience. We know each store has specialized requirements. Metro Clean will work with you in partnership to customize a retail cleaning program that works for you and your store. We offer a long list of services to retail stores.